Last week I ventured out of bed rest to go get my eyebrows done (I get mine threaded). I was very overdue for this beauty maintenance fix that I am normally quite regular with. I know I was at home and eyebrows don't really matter when one is on bed rest but I was longing for some fresh air and I live quite close to the salon. So I made the trek. When I walked into the salon they put me with a new lady, one who had never worked on me before. I wasn't worried because I've been treated by everyone in the salon and have always had great results. Still, as a peremptory warning, I requested before she began, "Please do not make my eyebrows thin". I have a hard time growing my eyebrows out and have had bad experiences in the past (namely with waxing) where the brow person has taken off too much. This all got me thinking about the perils of salon visits. We go hoping to achieve a certain result and sometimes we leave less than satisfied. I know a lot of people have this trouble when they get their hair done. Sometimes it is the way we communicate with our beauty practitioners that is key. Now I know to say, "Please clean up my brows, do not shape", when I visit my brow salon again. That command is less open to interpretation. Another issue I had been dealing with of late is my skin having unfavorable reactions to certain beauty treatments. Which prompted me to do this week's video (which was shot before the eyebrow debacle), where I share with you a top skincare tip for sensitive skin. So as I sit here impatiently growing my eyebrows back, I would love to know... do you have any disastrous salon stories? Thank you for all of your messages this past week. I am still on bed rest but feeling a lot better. I have been spoiled by my friends and family who have looked after me really well. I love tea. I also love The No. 1 Ladies’ Detective Agency by Alexander McCall Smith (I’m currently reading his latest, The Limpopo Academy of Private Detection). So when I saw that the Republic of Tea had released a special collection of teas based on McCall Smith’s bestselling novels it was all too thrilling for me. I contacted The Republic of Tea requesting samples and they kindly sent them to me last week. The following are the descriptions of the teas along with my notes. 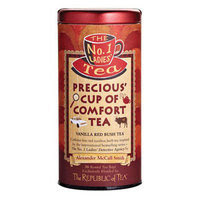 This tea is clearly dedicated to Grace Makutsi, Mma Ramotswe's assistant detective at The No. 1 Ladies' Detective Agency, who so triumphantly scored 97% on her Botswana secretarial exam. Made with 97% green rooibos and 3% red rooibos, this tea is bright, aggressive and a tad bit bitter, much like Mma Makutsi herself. One to stimulate the mind. The citrus and ginger notes are strong and I also detected notes of lemongrass. It is a lovely bright, invigorating tea. 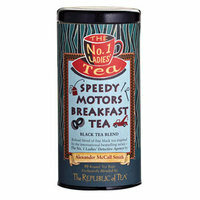 This tea is described as dependable, much like Mma Ramotswe's husband, Mr. J.L.B Matekoni, who also happens to be the proprietor of Speedy Motors mechanic shop. Reminiscent of Earl Grey minus the citrus note, it’s a nice, mild, yet full bodied black tea for morning. I found it best served with milk. This was my favorite of the three as I suspected it would be. This rooibos tea is, as the title describes, a cup of comfort… just as warm and enveloping as I imagine Precious Ramotswe to be. Precious’ Cup of Comfort is creamy with rich vanilla notes. It is the sort of tea you could have copious amounts of, without feeling guilty. Really delightful. 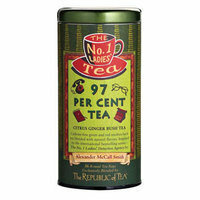 It is important to note that these teas come as tea bags in a canister, not as loose leaf tea. The teas sell for $11.50 each. To learn more, visit The Republic of Tea at www.republicoftea.com or to see the collection directly, click here. I hope you all had a marvelous weekend. As I write this I am in bed. Yes, I am officially on full bed rest now, even though I am not due till the end of May. Doctor's orders. Thankfully I was able to shoot some videos in prior weeks (including this week's video) so I will be able to post those for you as time ticks on. Speaking of videos, this week's has a baby theme to it. It comes by request from Maureen, who asks for advice on how to stay chic while expecting. In the video I give you a mini maternity fashion show and share with you my advice on navigating pregnancy with dignity and grace. Also, I wanted to mention that today marks my one year anniversary on YouTube! I can't believe how time has flown. I've really enjoyed doing videos and I hope you get enjoyment out of watching them. It all started on April 16th, 2011 with this video, How to Tie a Scarf. In this week's video, I share with you one of my de-cluttering top tips: the Sunday clearing. If you are unable to see the above embedded video, click here, look in the sidebar of this blog, or visit my channel: www.youtube.com/TheDailyConnoisseur. And now for the winner of the Small Space Organizing giveaway. Congratulations! Please email me your mailing address so I can arrange for your book to be sent. I know Kathryn Bechen, the author of Small Space Organizing, has been thrilled with all of the interest in her book. To learn more or to see it on Amazon, click here. Because of the success of Lessons from Madame Chic, many exciting things have happened in the last few weeks. 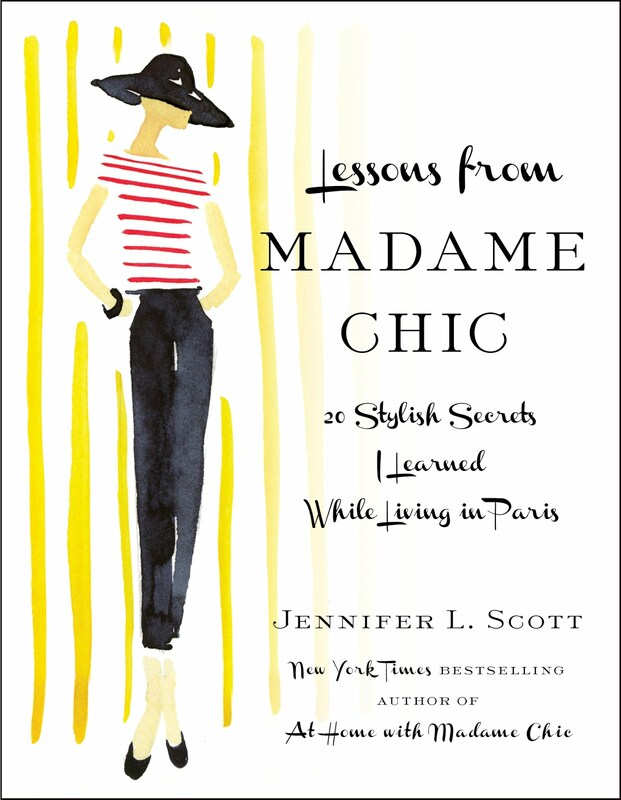 I have taken on a wonderful agent, Erica Silverman of Trident Media Group, and last week we accepted an offer from Simon & Schuster to publish Lessons from Madame Chic! Having gone from self publishing to being aligned with a prestigious publishing house such as Simon & Schuster is a great honor for me and I am really thrilled about the prospect. The deal was officially announced in Publisher's Weekly today. To see the press release, click here. - It will be newly edited and released in a beautiful gift worthy hardcover as well as be available in eBook format. If you have any questions, please do not hesitate to ask. Thank you again to all of you for your support as I could not have accomplished this without you! Hello everyone, I hope you are having a wonderful week. I am really enjoying reading your cookbook recommendations based on Monday's post and video. Some of your recommendations I already have like the Barefoot Contessa and Nigella's beautiful books, but some of them are entirely new to me and as such I have added them to my research list. Thank you for sharing! Please do not judge, but I actually own these DVDs. 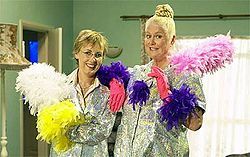 Yes they are campy and over the top (and not as sexist as you might think... the show teaches men how to maintain a well run home too), but this show will inspire you to get your house sorted out. It’s an older show from the UK and not currently on television, but if you can somehow rent it or buy the DVDs, you will see what I mean. If I am in need of some serious inspiration, I will watch one of the episodes. I usually don’t get through 1/3 of the show before I am at the foot of my closet with hair tied back, sleeves rolled up and a large empty garbage bag at my feet, ready to get the show on the road. If you are not able to catch the above mentioned British shows, try Clean House. This runs along the same lines of How Clean is Your House? by helping families with serious issues clear out their clutter, clean and redecorate. Again, all you need to watch is a few minutes (utilize the fast forward button on the DVR) and you should feel sufficiently motivated. Small Space Organizing- A Book Giveaway! While television is one of many sources of de-cluttering inspiration for me, books provide another major motivator. 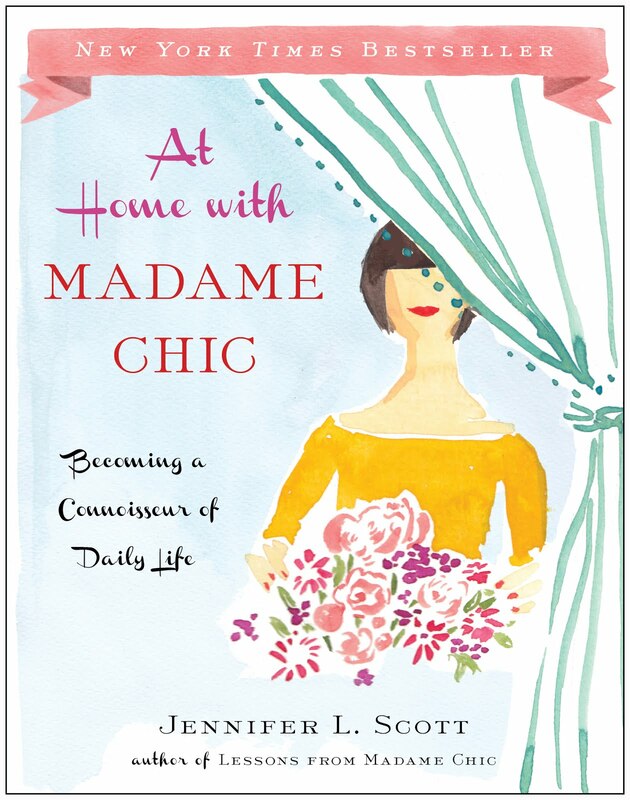 I recently received a lovely email from author Kathryn Bechen telling me how much she enjoyed Lessons from Madame Chic. 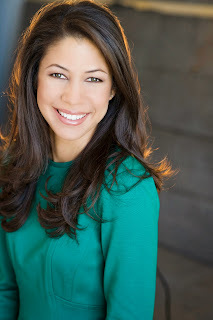 Kathryn is also an author of a very useful and very inspiring book called Small Space Organizing: A Room-by-Room Guide to Maximizing Your Space. Kathryn's book is chock full of ideas, inspirations and resources to help you clear and organize your home. She has so many lovely ideas that are sure to get you motivated to de-clutter as she has mastered the art of living in a small space elegantly. Check out her beautiful apartment by clicking here to see what I mean. Also, the lovely Ms. Bechen has been kind enough to offer to giveaway one signed copy of Small Space Organizing to a reader of The Daily Connoisseur! If you are interested in receiving a signed copy of her book simply leave me a comment below. I will announce the winner one week from today. Good luck! 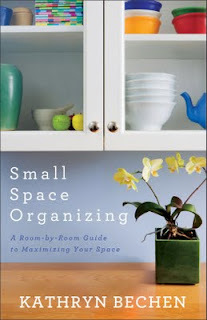 To learn more about Kathryn’s book, Small Space Organizing, check it out here on Amazon.com. Hello everyone, I hope you had a wonderful weekend. 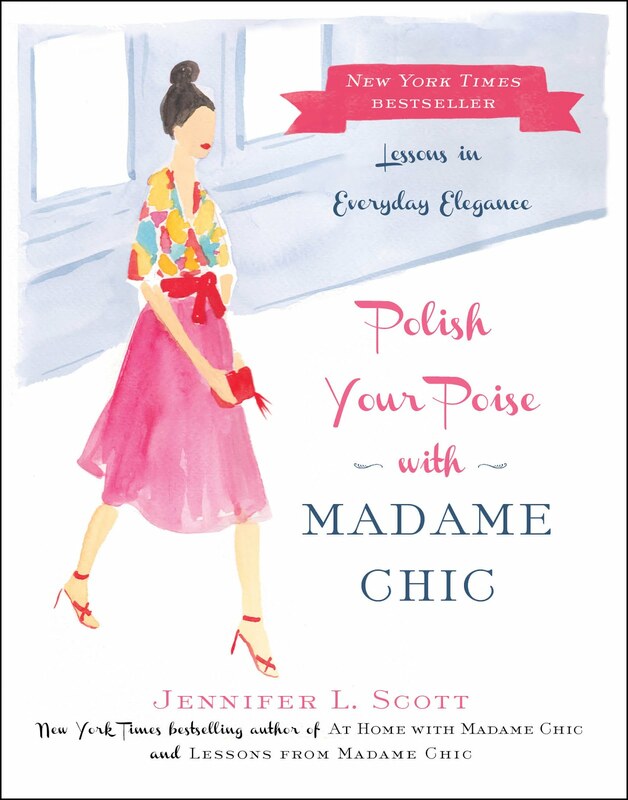 As some of you may have noticed, Lessons from Madame Chic is not currently available on Amazon or Barnes & Noble. I will be making an announcement about this shortly, (hint: it’s good news!) but until then I suppose I can look at the whole matter as enhancing my air of mystery… ☺ Thank you in advance for your understanding. I hope you enjoy! And I would love to know... what are your favorite cookbooks?